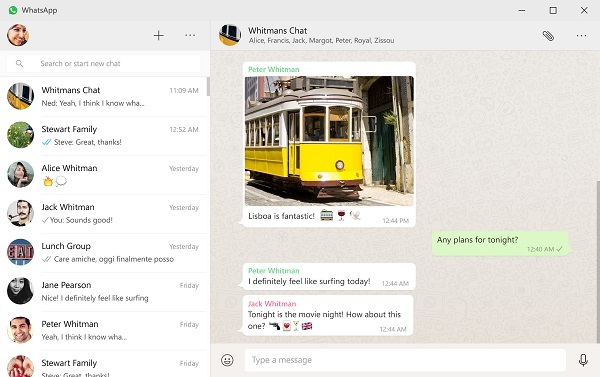 WhatsApp releases app for Windows 8/10 and Mac OS X. Facebook-owned WhatsApp today announces the release of its desktop app for Windows 8/10 and Mac OS X users. Like WhatsApp Web, the new desktop app is simply an extension of your phone: the app mirrors conversations and messages from your mobile device. Just like WhatsApp Web, the new desktop app lets you message with friends and family while your phone stays in your pocket. The new desktop app is available for Windows 8+ and Mac OS 10.9+ and is synced with WhatsApp on your mobile device. Because the app runs natively on your desktop, you'll have support for native desktop notifications, better keyboard shortcuts, and more.